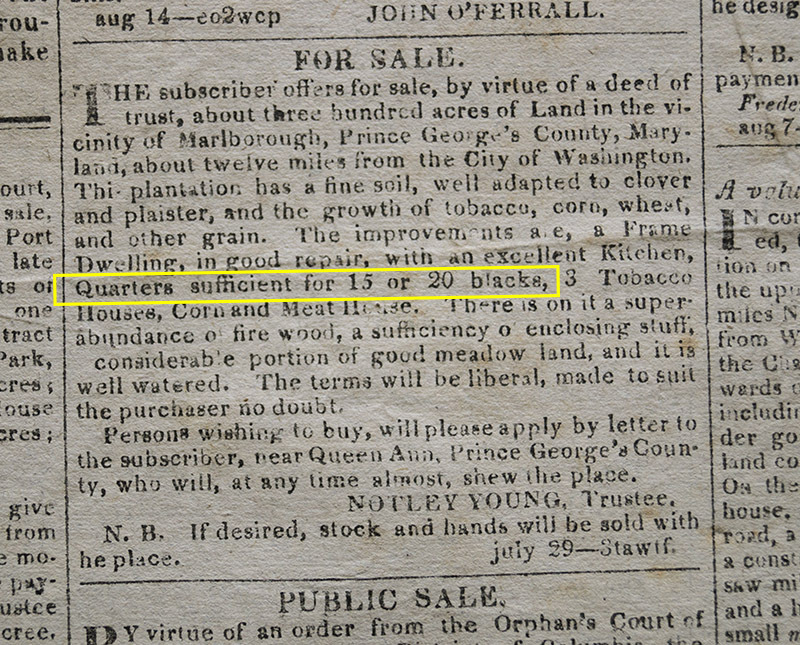 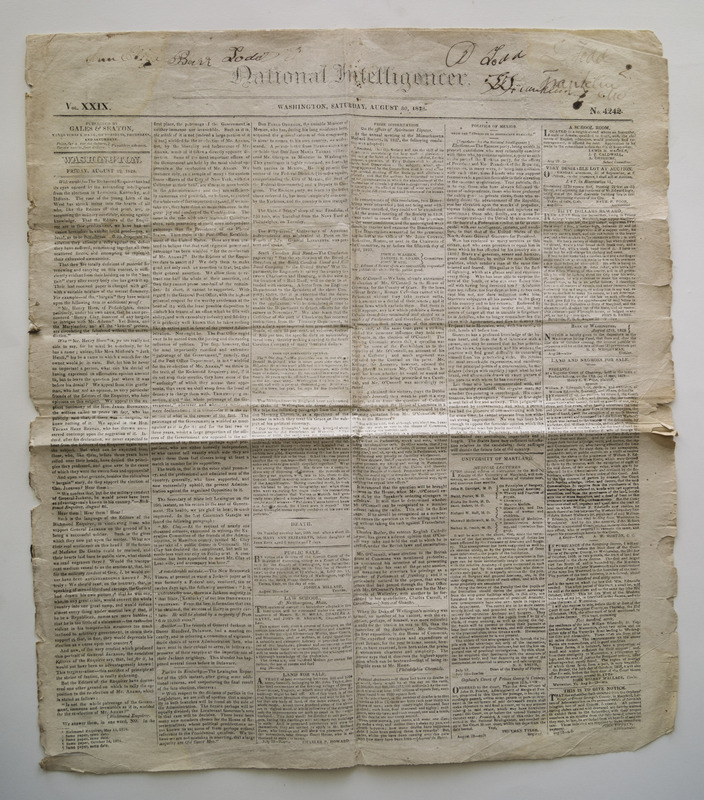 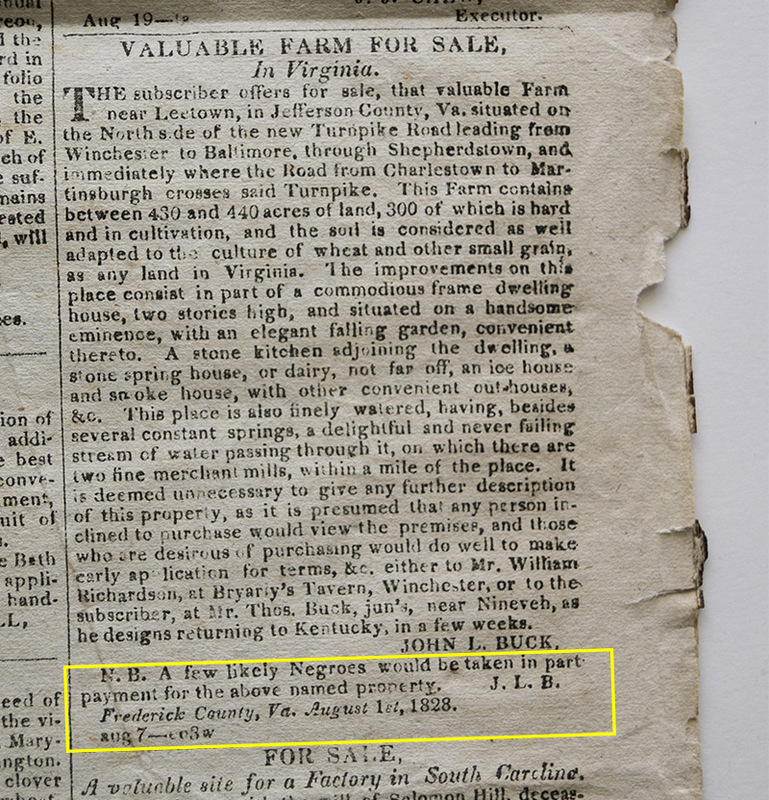 This August 30, 1828 edition of the National Intelligencer has 7 slave ads. 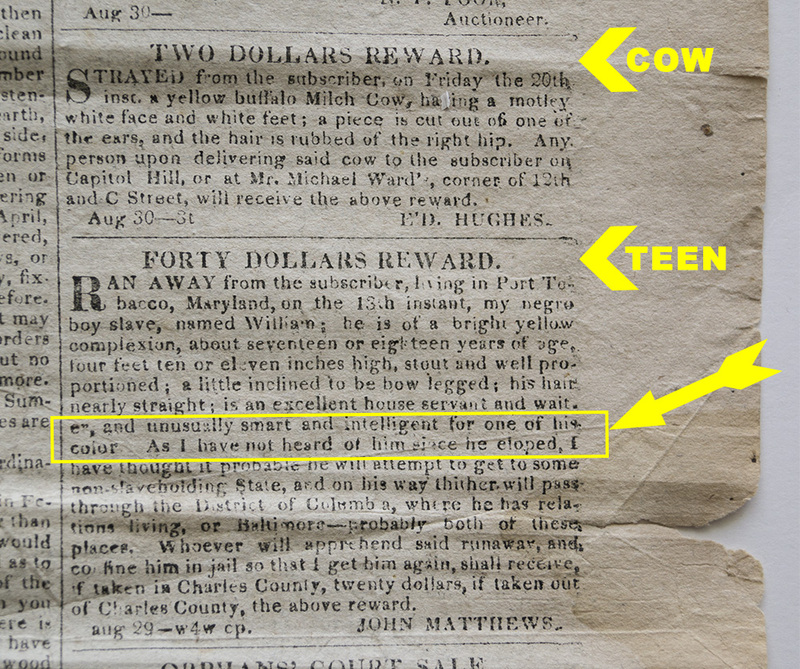 One advertises a FORTY DOLLARS REWARD for a 17 or 18-year-old named William. 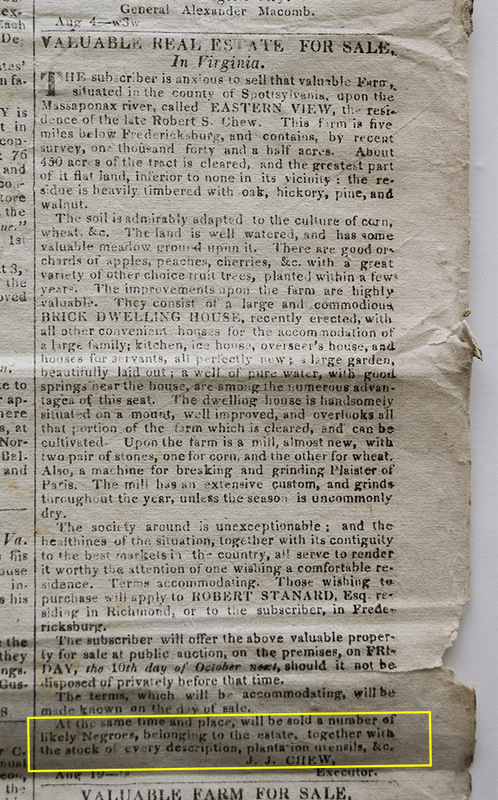 “He is of a bright yellow complexion…his hair nearly straight; is an excellent house servant and waiter, and unusually smart and intelligent for one of his color.” Another advertises FIFTY DOLLARS REWARD for SYE. 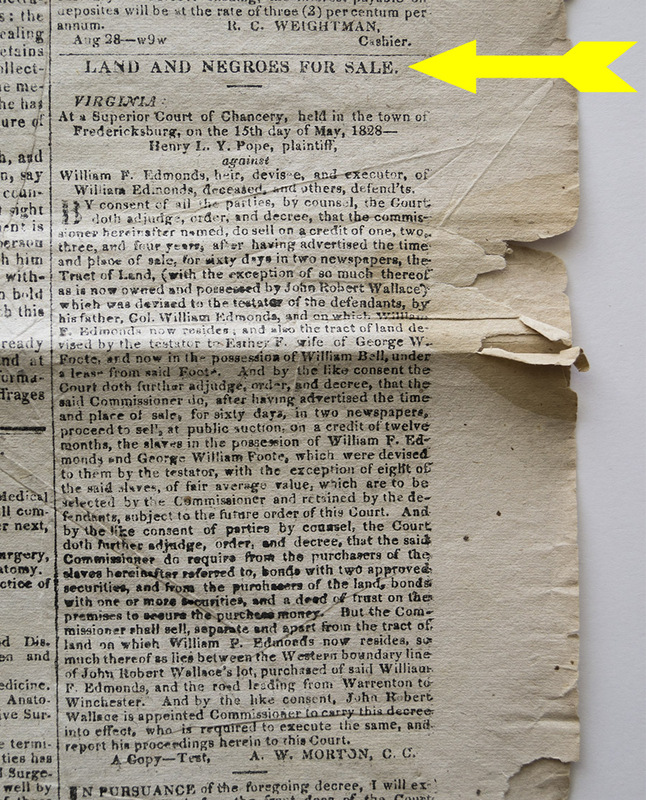 “When he left home had a swollen face and a cut finger occasioned from an attack made by him on his overseer a few days before he absconded. 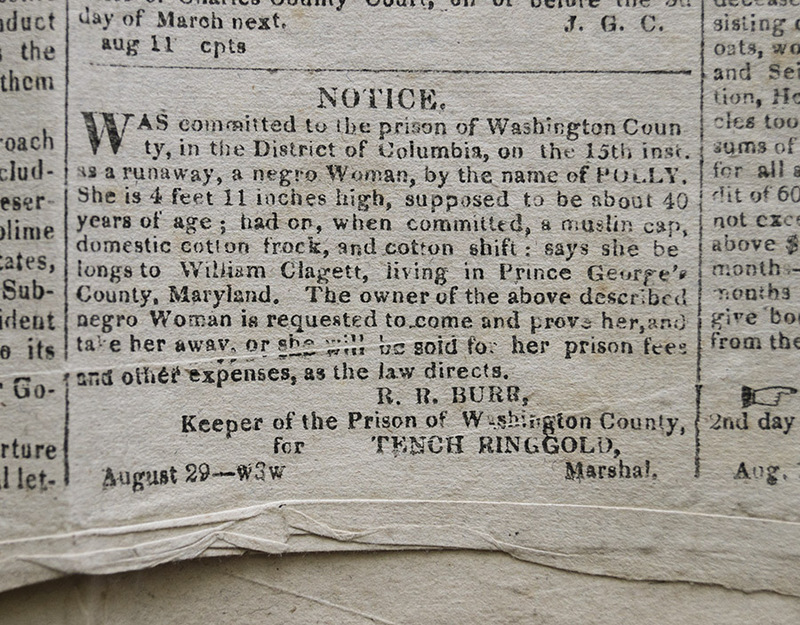 His wife is living in Washington City, with Mr. John Baker, who hires her of Miss Ellen Waring, of this county, and in all probability he will be lurking about the City near his wife, or, perhaps, he will endeavor to make his escape to Pennsylvania, as he is an artful fellow.” This runaway ad for Sye is repeated a few days later in the September 6, 1828 National Intelligencer (also included in this collection).